1948 – The organization now known as Apalachee Center was first organized in Leon County as the “Institute of Human Relations”, and located in offices provided by the Leon County Board of County Commissioners. 1954 – The first full-time administrator was hired for the Institute. 1955 – 1965 – the program became commonly known as the Leon County Mental Health Clinic. 1966 – A group of Tallahassee civic leaders incorporated the clinic as the Leon County Mental Health Center, a non-profit community agency serving Leon County, governed by a volunteer Board of Directors. 1972 – With federal funding, the Center began to expand services to Franklin, Gadsden, Jefferson, Liberty, Madison, Taylor, and Wakulla Counties. The Center’s name was officially changed to Apalachee Community Mental Health Services, Inc. to better reflect the organization’s mission to serve all eight counties. The name honors the proud Apalachee nation that once ruled this region. 1973-1980 Apalachee continued to expand, and opens one of the first Crisis Stabilization Units (CSU)established in the state. 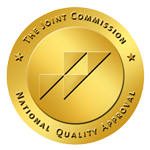 1981 – Apalachee Center’s commitment to providing quality care and treatment led to voluntary pursuit of accreditation by the Joint Commission on Accreditation of Health Care Organizations. Agency-wide accreditation was received in March of and has been continually maintained ever since. 1981-2000 – Apalachee opened a 24-bed freestanding psychiatric hospital (Eastside Psychiatric Hospital), a chemical dependency Detox unit, a variety of residential programs, and expanded the availability of outpatient and in-school services available across its 5500-square mile catchment area. This expansion has included the construction of dedicated outpatient facilities in the major population seats of each of Apalachee’s eight Counties. 2000-2015 – In 2007, Apalachee opened the first residential forensic units statewide, and helped alleviate the Florida forensic bed crisis. In 2009, Apalachee partnered with Bond Community Health Center to create the Bond Apalachee Wellness Integration Center, the first partnership of it’s kind in Florida. In 2010, Apalachee opened its new state of the art inpatient psychiatric complex on Capital circle, including an expanded 46-bed Eastside Psychiatric Hospital, brand new facilities for Apalachee’s Detox, Evaluation and Admissions, and Crisis Stabilization Unit, and new administrative facilities. In 2011, Apalachee’s CEO, Dr. Jay Reeve, was honored with the National Council for Community Mental Health’s Visionary Leadership award, for his efforts in promoting integrated physical and behavioral healthcare. 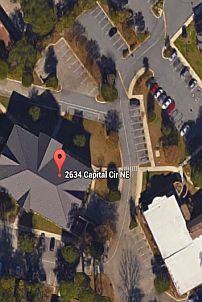 In 2013, Apalachee launched it’s first new private outpatient clinic in many years – Capital Therapy. In 2014, Apalachee opened a Civil Residential Program, Transition Home; which serves as a step-down program for individuals being discharged from Florida State Hospital.